The first early reviews for The Branded Rose Prophecy are in. This is always a nerve-wracking time for a writer – until the first public feedback arrives, you never know if your latest child really is as perfect as you think it is, or if it’s really a monster and you can’t recognize that through your rose coloured glasses. Early reviews are a reassurance, one way or the other: Either you did okay (phew!) or maybe you do have a monster on your hands, after all. Here’s quote from the first two reviews I’ve received. I loved getting to meet the little girl Charlee and reading as she grow into an amazing young lady. I loved Asher although he seemed very stiff at times I wanted to shake him up.but I loved the fact he was willing to do anything to keep Charlee and her family and even the world safe. This tale is quite different from other works by this author and at first I was slightly confused, but I have to say that I was very pleased with it. The suspense arouses the curiosity, catches hold of the readers and refuses to let go and the spin on the mythology that the author used to create her fascinating world is really different and refreshing. I was completely caught up in the story from the very beginning and I fought sleep and screamed at everybody if they interrupted me, I had to finish this emotionally gripping and terrific tale. The full five star review is on the book’s page. 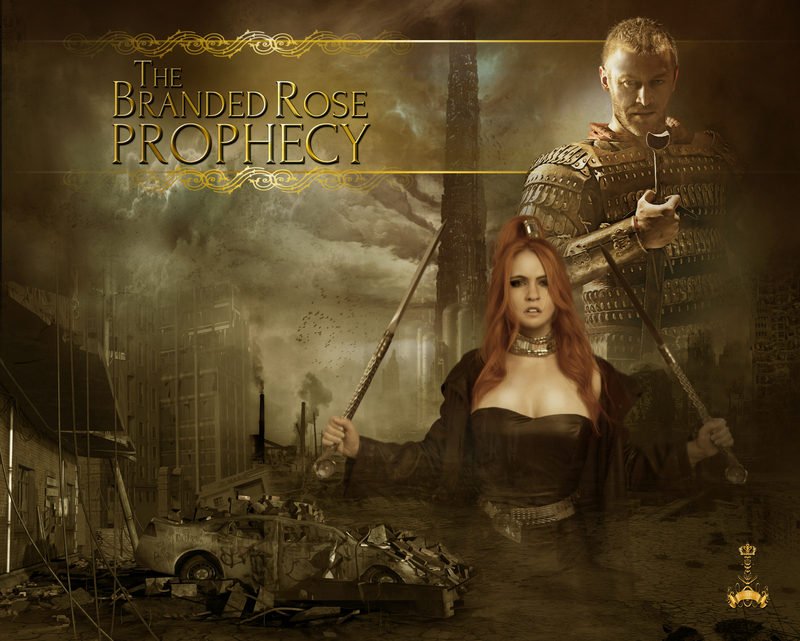 For details and an excerpt from The Branded Rose Prophecy, click here. If you would like to be sent a reminder when the book is released, you can subscribe to my blog feed. To subscribe to the RSS feed via an e-reader, click here: http://bit.ly/VDrFUA. To subscribe so the posts are delivered to you via email, click here: http://bit.ly/UtFGFk. If you would like a personalized reminder when this book is released, subscribe to my New Book Release Announcement list and join the hundreds of readers who are the first to hear about my latest books. You receive two free stories when you subscribe, and occasional discounts on new releases. http://bit.ly/dkc9Yu.